Half Moon Bay, California – Apple Inc (NASDAQ: AAPL) revealed that Apple Pay will be accepted as a purchasing method in three different stores in the United States. Starbucks, KFC and Chili’s will offer this option. Jennifer Bailey, VP of Apple Pay confirmed the news at the Code Mobile Conference on Thursday. 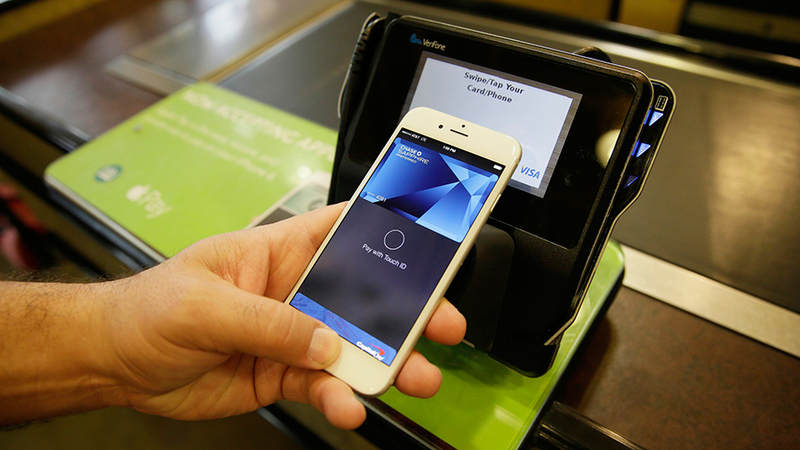 Apple Pay is a mobile payment and digital wallet service. It let customers make payments using their iPhone 6/Plus, 6S/Plus. Also, Apple Watch-compatible devices (iPhone 5 and later models), iPad Air 2, iPad Pro and iPad Mini 3 and 4. Apple introduced the service in September 2014. Since today, people who goes to Starbuck to work and have a nice cup of coffee, will have the option to pay with their Apple devices, which now are not only useful for work but to purchase their favorite treat at the coffee company. Bailey confirmed that Apple Pay will be available to certain Starbucks stores by the end of 2015. However, the company expects to massively increase Apple Pay’s presence in all of the 7,500 stores located in U.S. by 2016. Haley Drage, a spokeswoman for Starbucks Seattle location, commented that the company has been using a mobile payment system before and the experience has been very positive. Drage claimed that the company plans to provide its customers with every available payment method system so they have a more pleasant experience. Apple Pay has been running for a couple of months in Starbucks in the U.K. and so far “It was received well by consumers,” Drage said, as Tech Times reported. Furthermore, Bailey also mentioned that Apple Pay will be included in other stores such as KFC and Chili’s. Regarding Chili’s, Apple Pay will be the first mobile payment system adopted by the company. “Chili’s is focused on bringing guests the most innovative technology, and Apple Pay is transforming mobile payments with an easy, secure and private way to pay,” stated Chili’s in a statement, the New York Times reported. Also, Bailey claimed that the system will help quick-service restaurants like KFC, which have a need for fast payments. The spokeswoman noted that currently more business, no matter if they are small or medium-sized, are tending to include the mobile payment technology. KFC has not made any comments yet. “EMarketer, the research firm, said that there were 15.9 million mobile payment users in the United States in 2014 and that it expected that number to jump by 42 percent, to 22.6 million, this year” the New York Times informed.